Paul has over 30 years experience in the housing, regeneration and new business sectors. Currently Managing Director and Board Member of two special purpose vehicles specifically created to ensure that one of the largest transformational regeneration schemes in the north of England takes place, on time, on budget and to high quality standards. Paul is also a Board member of a development partnership company designed to deliver HCA development programmes to Registered Providers and a Board member of a charity designed to support community governance and raise funds for community projects. Previously Paul has been in charge of new business for the Together Housing Group, winning two PFI schemes and delivering innovative financial and legal solutions to new projects, one of which developed new extra care schemes without grant aid. During this time, Paul forged and led many successful partnerships and consortia including the management of large teams of staff delivering to tight timescales and to high performance expectations. 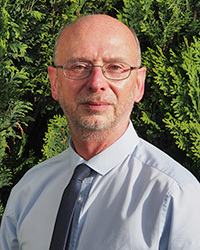 Paul also has extensive experience and responsibility at a senior and board level for housing and facilities management delivery in both the public and third sector, for promoting and ensuring effective management and governance within the housing sector and has lectured in housing studies.